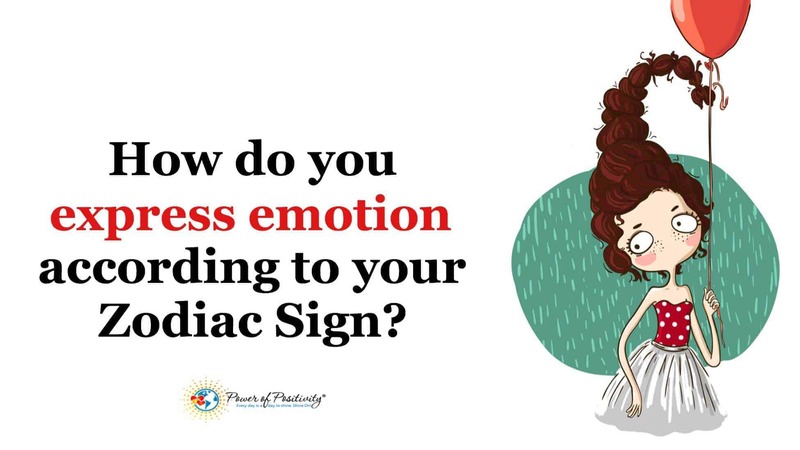 How Do You Express Emotion According To Your Zodiac Sign? Each zodiac sign expresses emotions a bit differently, even signs of the same element. Your zodiac sign can reveal a lot about your emotional expressions, even if you didn’t realize it. Furthermore, your sign’s element tells a whole story about your emotional state. For example, water signs tend to hide a lot of their emotions beneath the surface, while fire signs explode with passion and can rarely hold back. Read on below to find your sign, and discover more about how you show emotions and what that means for your personal life. 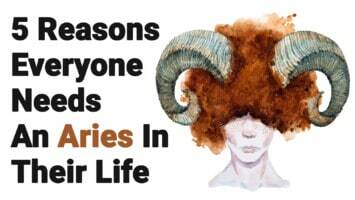 Aries don’t like anyone to know their weaknesses, so if they feel sad, it often comes across as anger or frustration. Aries have a very bold personality, and don’t hide their feelings(unless they feel in such a way that the other person would have the upper hand). They show emotion if someone angered them, but they won’t let you know easily if you’ve hurt them. Taurus don’t really like dealing with their own emotions. If they have overwhelming feelings, they tend to go off on their own and try to deal with it themselves rather than ask for the help of others. They normally hide their feelings, unless something really awful happens. Then, it becomes difficult to contain such emotion. As a very social sign, Gemini can get easily depressed if they don’t reach out to others to help them through their problems. Gemini usually puts everything on the table and leaves nothing to the imagination, so others can help them quite easily. If they wallow in their own sadness, however, it can lead to depression and isolation. As one of the most complicated signs in the zodiac, a Cancer doesn’t always know how to deal with their emotions. Sometimes, they reach out to others, but they don’t like feeling like a burden to someone else. So, most of the time, they hide their feelings and try to understand them. Cancers can either get clingy and needy when upset, or hide in their shell. You never know what you’ll get with them, but a Cancer will never turn down a hug, so remember that if you ever need to comfort a Cancer. Leos have a lot of fire and passion, and don’t hold back showing it. However, sometimes their emotions can become so strong and powerful that others have a difficult time knowing how to deal with them. Leos can also seem a bit self-centered at times, only caring about how they feel. They can also blow things out of proportion, but they mean well. Virgos have a very practical way of dealing with emotions. They hardly show how they feel, instead coping with emotions in the comfort of their room. They want to get over the ’emotional’ part of dealing with feelings, so that they can look for a solution afterwards. Virgos can’t really grasp deep feelings that well, so they’d rather just move on to the part where action can be taken to relieve themselves of the emotion. Libras also have a problem showing emotions, but they have a good reason for it. They care so much about how others feel, that they don’t want to cause any more trouble. They just want smooth sailing, and don’t want to rock the boat in any way. However, these repressed emotions can backfire later, causing a lot of damage in personal relationships. Scorpio’s emotions and moods can become so overwhelming that they blow up in your face, as they don’t always know how to cope with strong feelings. They have very volatile and turbulent emotions, so the best way to deal with this sign is to steer clear of them when they lash out, and don’t provoke them. Scorpios love getting revenge, so don’t get on their bad side. They bottle up emotions until they explode, and you don’t want to be around for the finale. Another fire sign, Sagittarius also have a lot of passion, but they don’t show it as much as the other fire signs. Sagittarius can feel so many emotions that they get depressed, but they don’t like others to know that. If they feel sad or angry, they’ll most likely go blow off some steam and then revisit the problem later. Capricorns don’t like letting their emotions get the best of them, so they stay grounded to the Earth as much as possible. They tend to see the world in a negative light, however, so this can get them down easily. They have a practical, analytical personality, and tend to overthink even the smallest of issues. They also have a problem with perfectionism, so all of these rigid ideals can lead to repressed emotions. Be warned – they may explode one day from their tendency to hide emotions. 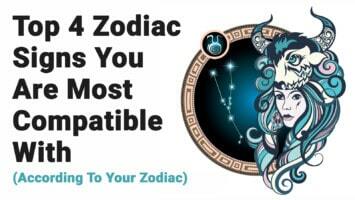 Related article: What Kind of Element Are You, According to Your Zodiac Sign? Aquarius can be another difficult sign to figure out, as they do have deep emotions, but don’t know how to show them. They tend to find distractions from their feelings rather than facing them in the moment, so they might have a breakdown about something that happened months ago. When they feel lost or upset, they lose themselves in planning a trip or socializing with friends, and forget about all the crappy stuff going on for a bit. Pisces can get lost in their own heads, even more than other water signs sometimes. Pisces needs to get out and socialize or just do activities that keep them from brooding and dwelling on emotions. 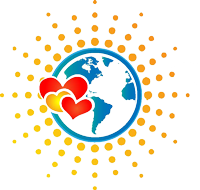 They can easily let depression and anxiety overwhelm them, as they are a highly sensitive sign. However, letting feelings out in a healthy manner or doing something to distract them can help in an emotional breakdown.